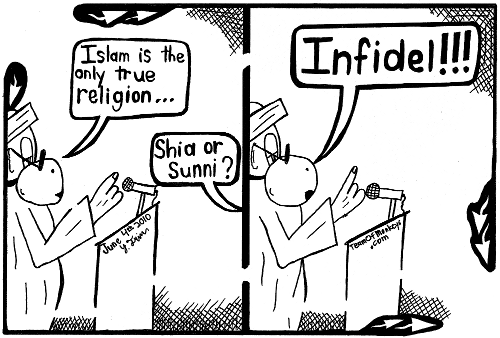 Islam is being threatened today by a vicious Shia-Sunni divide, or so they say. The Western media is thus deeply invested in covering this strife and consequently in creating caricatures of this conflict. 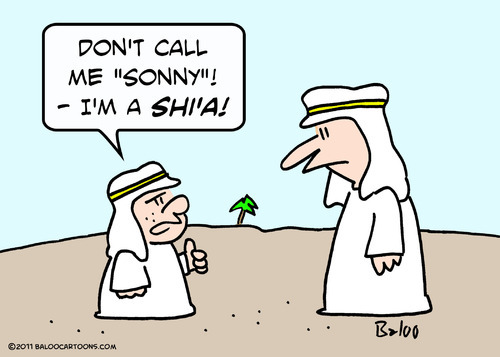 However what is missing from all the discussions about the Shia-Sunni strife is the fact that the Western world is deeply implicated in the supposed Shia-Sunni conflict that can be seen in the Middle East and the surrounding regions. 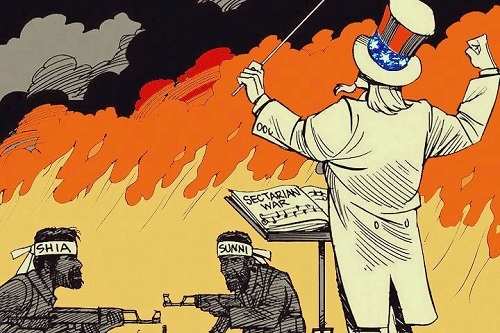 Among the significant ways that the prevalent stereotypes of the Shia-Sunni conflict are perpetuated is the West are through the visual media representations, some of which are reproduced here in this post. These representations are however also contested by counter-visuals from the Muslim world as can be seen in the visual above.